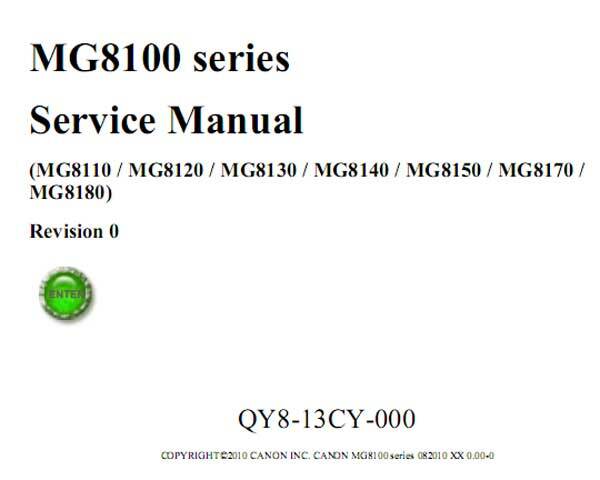 Home » Service Manual Catalog » CANON Service Manuals » InkJet Printers » SM_MG8110 I have paid for Reset Key but not received yet. This manual provides technical information necessary for servicing the applicable product. Information on maintenance of the applicable product is given in the Simplified Service Manual. Please refer to them when necessary. The 5 star tool. Very useful & helpful. Thanks team for developing this tool.